Having nabbed one director I was delighted to see how another Panto directors’ experience may differ. Tony Cusack, director and producer of LPSs’ Goldilocks the Circus Panto took the time to talk to TLM. How long have you been directing for? Have you directed other productions? I have been directing shows for over 30 years – I am a founder member of the Limerick Panto Society and I have directed many musicals and variety shows and have been involved with many societies, groups and schools in the Mid-West area. Recently I directed We Will Rock You, the Queen musical, with Ard Scoil Rís, and I directed the first amateur production of Pigtown, the acclaimed play by Mike Finn, which tells the story of Limerick through the 20th century. What do you most enjoy about directing? I really enjoy the planning stages of the production – deciding on what is the best show to do, getting the production team together working through all the various elements script, sets, props, choreography, venue, casting etc. When we are doing the Panto we are generally starting with a blank canvass – we decide what show we are doing – once the decision is made script writer John Finn will either re-vamp an existing script or write an original one. How do you deal with the unpredictability of working from audience reactions? As director are you nervous or trusting (or both) of the characters/actors? There is an old adage in theatre that every audience is different and I think this is very true. When I am backstage I often here the cast saying things like “They are a Warm Audience tonight” or sometimes “They are a Hard Audience” – the important thing from my point of view is that the cast and crew retain the standards that I set for them and that we have a consistency of performance. I don’t really get nervous just excited to see all the work coming together and you have to trust your cast and crew to deliver. What is your favourite thing about Panto season? My favourite thing about the Panto is meeting old friends and new. We have a loyal following in the Mid-West and many people that attended our shows as children are now coming back with their children. In terms of the society itself it is like a reunion each year as all the members get together to deliver the Production. We remember old friends that may be no longer with us – we discuss previous productions and we share funny stories and memories – we basically catch up with each other’s lives. What is your most dreaded factor of the Panto experience, if any? I don’t have a dreaded factor except maybe the weather – as we perform in December and January there is always a risk of poor weather affecting the attendances. In recent years to reduce the risk we have scheduled more matinee performances as people are more inclined to travel in daylight hours. Do you have any surprises in store for the audiences this year? We always have surprises – this year as the setting is a Circus it means that we can provide plenty of colour and as well as the usual Panto elements of audience participation we will endeavour to create a fun atmosphere as people enter the venue. Clowns will greet the children as they arrive and there will be some face painting and other fun elements in order to improve the experience of the patrons. How do you deal with the casting process? Do you have any ‘big names’ involved this year? Casting is always difficult – the talent in Limerick is endless and we have some fantastic singers and performers in the Society. 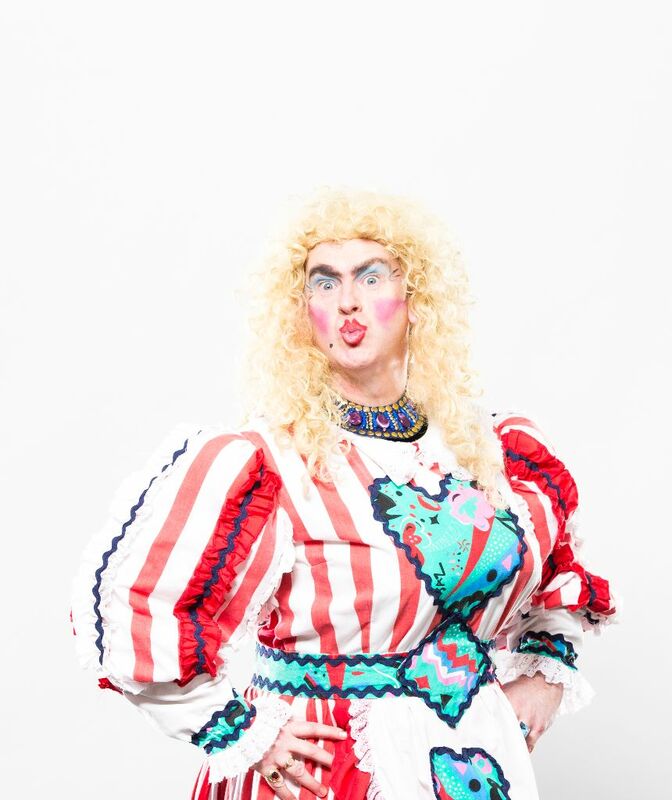 There are never enough parts to go round and of course there are specialist roles such as the Panto Dame and in that regard we are well served. Our Dame is Tim Cusack and Tim has a unique ability to relate to both the younger members of the audience and the not so young. We are very fortunate to have Emma O’Driscoll on board again this year playing the title role of Goldilocks – Emma is a talented young lady and a wonderful ambassador for Limerick. We have 10 lead performers in the show and a chorus of 50 young people from the Limerick area. We also have children’s chorus numbers which are provided by Spotlight Stage School and Expressive Arts on alternate shows – all performing with a live orchestra. We often hear the line ‘for all the family’, but is it really? What about the sceptical teenagers for example? Advertising slogans are easy to come up with but hard to live up to. I would like to think that the Panto is for all the family – there are jokes for the children obviously but there are also jokes that are above the heads of the younger members of the audience aimed specifically at the adults and slightly older children. We incorporate songs from the charts in to the production and the music generally goes down well with all age groups.